Walker Thompson And His Boys, 1965. L-R: Bruce Cockburn, Rick Metzinger, Jim Thompson, Douglas Grossman, Bob Miller. The Children, early 1966. From L-R: Chris Anderson, Peter Hodgson, Sandy Crawley, Bruce Cockburn, Neville Wells. By 1966 Anderson and Hodgson would be gone and Patterson and Wiffen would join the band. 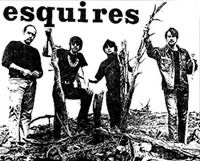 The Esquires, 1967. L-R: Robert Coulthart, Bruce Cockburn, Doug Orr, Brian Lewicki. The Flying Circus, circa 1967-68. L-R: Neil Lillie, Bruce Cockburn, Gordon MacBain, Marty Fisher. Olivus, circa 1968. 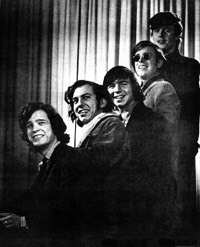 L-R: Neil Lillie, Gordon MacBain, Marty Fisher, Bruce Cockburn. 3's A Crowd, 1969. 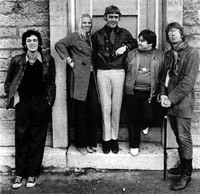 L-R: Dennis Pendrith, Colleen Peterson, David Wiffen, Richard Patterson, Bruce Cockburn. Bruce Douglas Cockburn was born in Ottawa, Ontario, Canada, on May 27, 1945. He is the oldest of three children, having two younger brothers. In elementary school and junior high he took lessons in clarinet and trumpet, and switched to guitar when he was fourteen. As a teen he studied guitar, piano, and music theory and played in bands while doing folk gigs in local coffeehouses. Through high school his interest and involvement in music grew. After leaving high school in 1963, Bruce headed to Europe where he ended up performing on the streets of Paris, among other places. After three months in Europe, he returned to Canada. In the fall of 1964 Bruce shipped off to Boston to attend the Berklee College of Music. During the three semesters he was there he joined a jug band called Walker Thompson and His Boys. By the end of 1965, realizing that his destiny was not to become a composer of big-band jazz, Bruce returned to Ottawa and joined The Children. It was during this time that Bruce was encouraged by Ottawa poet and mentor Bill Hawkins to write his own songs. 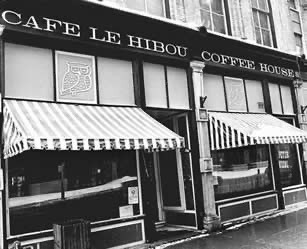 While with The Children Bruce played harmonica with an after-hours blues band called Heavenly Blue at the legendary Ottawa folk venue Le Hibou. The Children folded in late '66 or early '67. 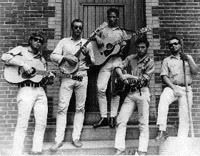 Bruce was invited to join The Esquires and played with them for several months before leaving the band. 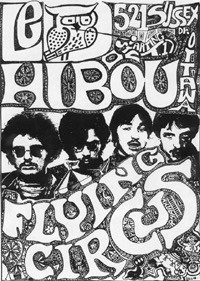 Before the end of 1967, Bruce moved to Toronto to join a newly formed band called The Flying Circus, which later was known as Olivus. The band played such venues as Toronto's venerable Riverboat, located in the Yorkville District, as well as opening concerts for The Lovin’ Spoonful, Cream, Wilson Pickett, and Jimi Hendrix in Toronto, Ottawa, and Montreal. In the spring of 1968 Olivus folded and Bruce decided to go solo but was approached by 3’s A Crowd with the offer of a TV series with them, which would tape throughout the summer and be worth actual money. 3's A Crowd had originally been formed in Vancouver in 1964. In joining the band, Bruce was reunited with David Wiffen and Richard Patterson from his days with The Children. He did solo gigs here and there as well through this period. In late 1967, prior to his joining 3's A Crowd, that band recorded several songs written by Bruce for their album, Christopher's Movie Matinee. These songs were penned while Bruce was with The Children. Bruce’s first appearance at the Mariposa Folk Festival was on August 11, 1968. The program was the New Songwriter’s Concert, hosted by Joni Mitchell and Murray McLauchlan. Bruce performed solo in November 1968 at the Pornographic Onion, a well-known coffeehouse in Toronto. Though he was still with 3's A Crowd, the transition to a solo career was well on the way. Bruce remained with 3's A Crowd until the spring of 1969, when he left the band to begin his solo career. 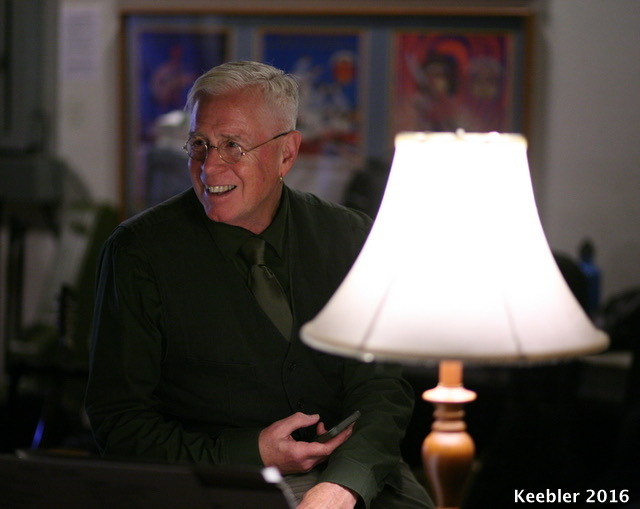 Later that year he teamed with Bernie Finkelstein and Eugene Martynec to record his first album, Bruce Cockburn, and thus True North Records was born. The album was recorded in Toronto in December 1969 and released in the spring of 1970. This would be the beginning of a long-lasting relationship between Bernie and Bruce... one that flourishes to this day. It is extremely rare to see a manager and a performer stick together for so many years. Bernie takes care of the business and Bruce takes care of the music. 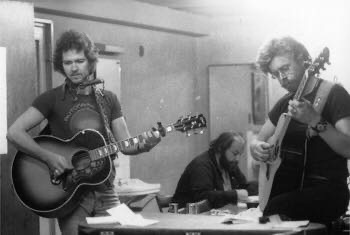 Eugene Martynec would go on to produce fourteen of Bruce's first fifteen albums, and would tour with him before and after the release of Salt, Sun & Time. While on hiatus from producing David Wiffen's 1973 album, Coast to Coast Fever, Bruce managed to record a breakthrough album called Night Vision... a very urban-sounding work, musically different from previous albums. 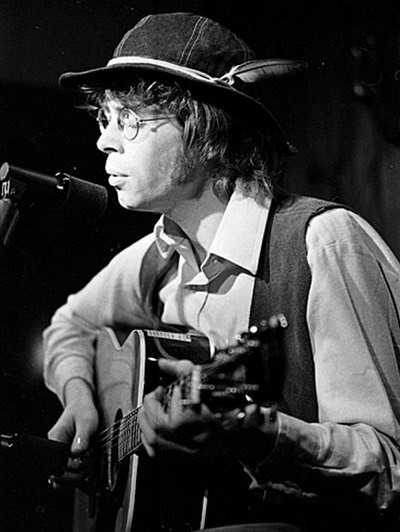 In all, he released ten albums during the 1970s, including Circles in the Stream a double live album recorded during his first tour with a full band in 1977. The tour came on the heels of the release of In the Falling Dark, considered by many to be one of his finest works. In July 1977, Bruce toured Japan with True North labelmate Murray McLauchlan. He capped off the 1970s with one of his best-known albums, Dancing in the Dragon's Jaws, which is on the "favorites" list of most who know his discography. Bruce's overall sound during the 1970s was very acoustic, but he would soon shift gears. 1980 would see him move to Toronto, where he would become an urban dweller... thus setting the stage for influential world travels through the 1980s. He would visit developing nations such as Mexico, Chile, El Salvador, Honduras, Nicaragua, Nepal, and Mozambique. Sponsoring some of these fact-finding missions were OXFAM and USC Canada. Many songs from this era were driven by hard electric guitar work. With this sound he was off in a new direction, a trait that has become a trademark of his career. Many who know Bruce's work associate his most political songs with the 1980s. However, I think it's important to note that while the 1970s produced a fair amount of acoustic, spiritual and nature-oriented work, national and global politics were found in his writings even then. Songs like It's Going Down Slow, Burn, Gavin's Woodpile, Red Brother Red Sister, and Feast of Fools reflect this. Bruce released eight albums during the 1980s, including one compilation album. Perhaps his most notable releases were Humans, Stealing Fire, and World of Wonders. The last breath of the 1980s saw Bruce flat against the wall with little to draw from for his writing. He took some time off to explore and came back with a milestone album in 1991's Nothing But A Burning Light. This would be his first album recorded and mixed outside of Canada (in Los Angeles). The return to a more acoustic sound, which had resurfaced on 1989's Big Circumstance, continued through the next several albums. He would release seven albums in the 1990s, including two live albums. The 1990s saw Bruce become very active in the campaign against landmines, and in 1995 he visited Mozambique for the second time to see firsthand the huge problem of landmines left buried in the ground. The album that followed this trip was called The Charity of Night, another standout effort from this decade. In 1998 he visited Mali to assess the loss of arable land to the desert. A documentary film called River of Sand chronicled his time there. In 1999 Bruce visited Cambodia and Vietnam to witness the effects of landmines that litter those two countries. The trip was organized by the Vietnam Veterans of America Foundation's Campaign for a Landmine Free World. In 2001 Kensington Communications produced an hour-long biography for the CBC called My Beat: The Life and Times of Bruce Cockburn. That same year he moved to Montreal after having been in Toronto for twenty years. He returned from a fact-finding mission to Iraq in January 2004. In November 2007, he went to Nepal for a second time at the request of USC Canada. In 2008 a DVD called Return to Nepal was released that reflected his journey there. His first-ever live solo album, called Slice O Life, was released on March 31, 2009. In June, 2010, Bruce went into the studio to record Small Source of Comfort. It was released in March 2011. 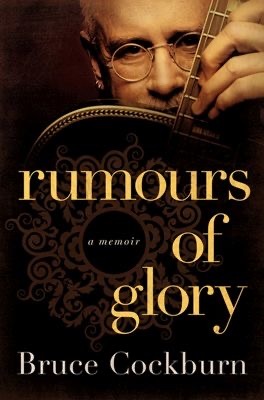 Bruce's memoir called Rumours of Glory was released on November 4, 2014. In tandem with the biography is the Rumours of Glory CD boxset. In November 2016, Bruce went into the studio to record a new album called Bone On Bone. It was released on September 15, 2017. Bruce will be back in the studio in March 2019 to record his second all-instrumental album. He currently resides in San Francisco, California. With thanks to Bruce for his assistance with this bio. Use by permission only, please. Email me. This short autobiography was hand-written by Bruce circa 1969. I uncovered it in my archive in 2016. It had been sent to me by Richard Patterson in the mid-1990s. Richard was a former bandmate from 1960s bands.